“The Times They Are A-changing” sang Bob Dylan, and I must say that yes, 50 years later, times are still a-changing. Those of you that lived High Fidelity in the 70’s surely remember, sometimes with nostalgia and sometimes not, the terrible finishing of many of the loudspeakers of that time. Just two names: Advent and AR. Taking away the front grids you could see a front panel with no finishing at all and with the drivers stuck in there somehow; it seemed that they were there, just because there was no other place to put them and because that was the only way to make them sound good. Tweeters were another thing that one could not look at. Anyhow, their sound was often really good despite their look so music lovers did not care. In the 70’s, people predicted that the XXI century were going to be a century of flying cars, men colonizing Mars and the Moon and other incredible fantasies. We are in the XXI Century now, 13 years have passed since its beginning and not one of those fantasies became true; many prophets have been retracted and many others have surprised us. For sure, High Fidelity survived with an unchanged will to help us reproduce music as close to original as possible. But the market has changed. Once, the most important thing was the substance and not the form, the minimalistic British design was the proof. Now, interior designers are more and more important and the aesthetics of the components of our systems is a must. Form and function are strictly linked and are things we can’t do without. Even in the so called Developing Countries these parameters are really important. But may be I should say those Countries formerly called Developing Countries that now are developed and can easily go shopping in those Countries that used to look at them with self-importance. Well, to conquer these new markets it takes something different. 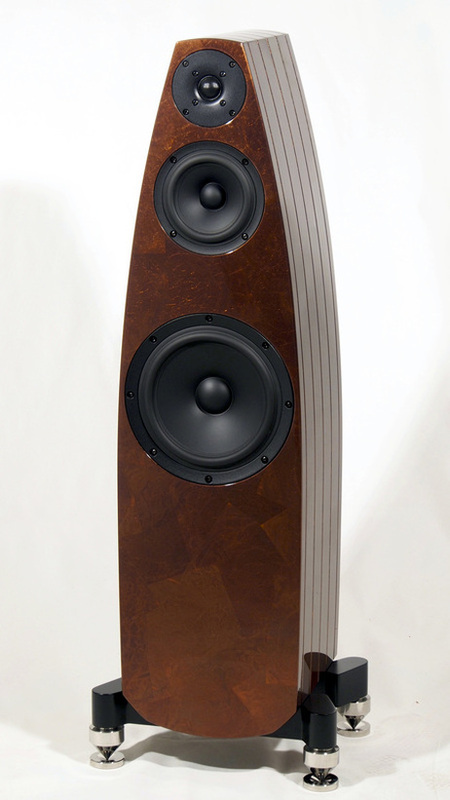 A loudspeaker with the usual parallelepiped shape and finished with cheap veneered wood has no appeal. For these markets, and most of all to conquer these markets, we need something different. The guests that come to visit us, must come into our houses and be struck by our latest purchase. There is a sort of race and, in this race, people that design and produce the most original objects win. There are designer that in the past were busy doing other things and now are engaged in our field. I want to remind to our dear readers that one of the first examples of originality can be found in Sonus Faber’s production in the 80’s. The talent of Franco Serblin amazed everyone for the design perfection and the use of precious materials for the cabinet. Nowadays, the request of products with an original design is increasing and Italy, the Homeland of design and creativity, is the leader in proposing new and original ideas. Let’s be honest, all this is not simple, since the components that want to have the “quality seal” Hi-End, Hi-Fi and Hi Performance Audio, must have certain specific characteristics.A Hi-Fi system has nothing to do with small cubes that can be put among books and a subwoofer that remains hidden in the closet.Many people understood all this and have been working for years to design, promote and produce components to be distributed all around the world. Audio-activity is into Hi-Fi and thanks to the English version we are read all over the world - and we are really proud about it! -. For this reason Italian and foreign producers ask us to review their products in order to put them in “our international virtual window”. We review all products without prejudice, the new designer components and the old rough products that the old fashioned audio-lovers like (and believe that the worst they look the better they sound). Luckily, this world is big and there is space for everyone, we review and share our thoughts with all those that are so kind to stay with us. Today we are going to speak about EMMESpeakers, an enterprise from Milano that I know since its first “steps”. Let me just for once say: I discovered them! Their first model was named Beta and looked much alike this new one, that has been largely revisited inside. Loudspeakers and crossover are completely different, consequently the sound is very different. Lorenzo and Paolo Martinelli are brothers and are the founders of EMMESpeakers. They created this enterprise 5 years ago and believed in their talent. They have created a high quality product that is distributed now in many Countries. If you take a look at their Facebook page or at their website, you can see pictures of EMMESpeakers loudspeakers in houses in the remotest corners of the world. Wow! This must be really rewarding! Moreover, this is a period in which the internal consumptions in our Country is contracting and export is really important because it keeps us alive. All the entrepreneurs that have the courage and ability to produce and export Italian made products must be admired and encouraged. 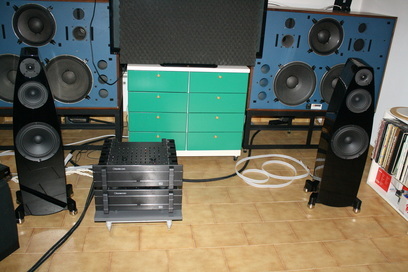 In the Hi-Fi sector the Martinelli’s are very active and demonstrate ability and originality in their production. 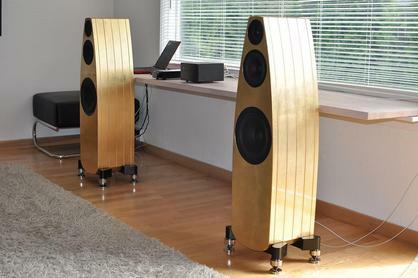 The Da Vinci, their new model of loudspeaker, is something really original and is unlike anything else seen so far. But this is not the model we are reviewing today since we received the new version of the Beta, the first model in EMMESpeakers’ history. Only the shape of the speaker is unchanged, all the rest is different. The New Beta loudspeaker by EMMESpeakers at a first look can be easily confused with a three ways design but, despite of its aspect, it's closer to a 2 1/2 ways design even if rather unconventional. It has been wanted, since the early design phases, to reach a sound reproduction of a 2 ways in sealed box but with the wider frequency response and higher power handling typical of a multi-way loudspeakers. 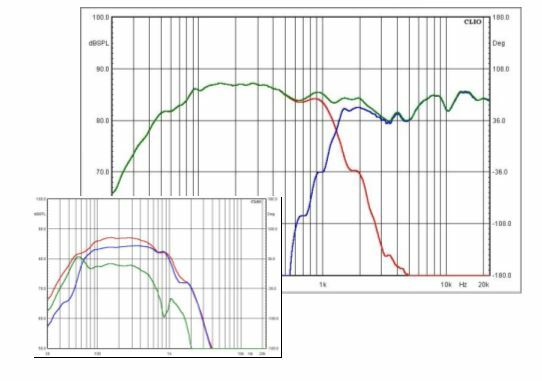 To do that a fast 5" Mid Woofer is supported, at in low frequency, by 8" Woofer, connected to each other with a 'quasi' series network. Looking at the NEW BETA crossover, different types of networks can be seen. While the TW has a conventional third order network, the 5" MW and 8"WF are connected in series and managed by a third order network (L2, C4, L3). A further capacitor (C6) by-passes the 8" Woofer in mid frequency, leaving the MW able to reach the crossover (fourth acoustical order) alone with the Tweeter at 1.3 kHz. 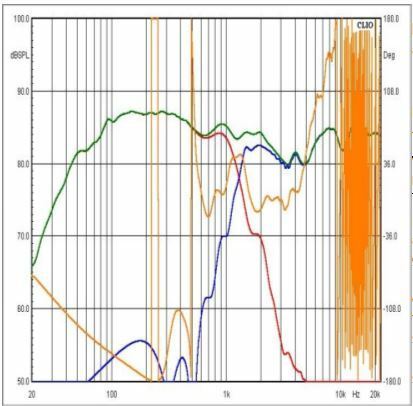 The C5-R4 Zobel network is tuned to align the 5" MW phase response to the desired value. The graphic shows the relative phase between TW and MW, fixed in crossover region at 45 degrees. Our studies have determined that the relative phase of 45 degrees provides a more stable and wider soundstage. R3 has an important function of distribution of the amplifier power between WF and MW, in function of each power handling capability. The NEW BETA impedance is an easy load for any kind of power amplifier, allowing the widest electrical compatibility. However, at least 20 watts are recommended for best sound performance. 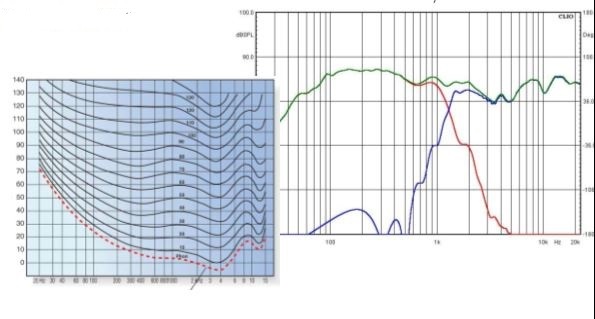 The frequency response of NEW BETA has been subjected to accurate studies and responds to specific design requirements. Each part of the loudspeaker (drivers, crossover network, box shape) has been chosen and designed to get exactly what desired. 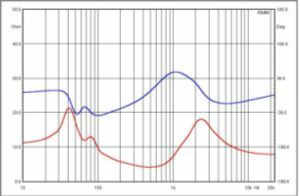 Compared to a typical isophonic curve it can see how, the frequency response of NEW BETA is tuned on the human ear sensibility. It provides a very natural reproduction allowing a long time listening with absence of any fatigue. • 7 layers polyester finishes (final thickness 500-600 micron). The loudspeaker box is manufactured by italians master handcrafters, with the help of most modern technologies. A sandwich structure has been designed to guarantee damped resonances and time durability. The particular shape, a marvelous example of Italian design that joins curves and edges in an harmonic game, and multiple prospectives, is active part in the holographic sound reconstruction. The NEW BETA loudspeaker, thanks to its specifications, is fully optimized to work in domestic environments, usually shared with normal familiar activities (living rooms for example) and normally furnished. It’s designed to provide a correct sound reproduction even when located 0,50 meters from the rear wall. turntable Basis 2001, tonearm Graham 2.2, cartridge Scan Tech Lyra Helikon, phono preamplifier: Einstein "The Turntable's Choice", CD/SACD player dCS Puccini + Puccini U-Clock, preamplifier: MBL 4006, power amplifiers: Bryston 7B ST mono, loudspeakers: JBL 4350B, interconnect cables: MIT Oracle MA-X Proline, MIT Shotgun S2 RCA, Transparent Super XLR, Transparent Super RCA, LAT International XLR, loudspeaker cables: MIT Magnum MA, Vovox Initio, power cables: MIT Shotgun AC 1, Black Noise Pearl and others DIY, mains distributor: Lector Edison 230/8, mains filter: Black Noise 2500. The loudspeakers are brand new and have been played for only few hours. Their sound in fact is kind of hard. I played music for a couple of days with a tuner, and a burn-in CD for a few hours. I'm sure now the speakers are ready and I decide to test them with a CD that belongs to my daughter: “Des Visages et Des Figures” by Noir Desir, a French group ( Carosello/ Warner Music). It’s a CD of electronic music, with deep low and violent keys, that are reproduced by the Beta correctly even at high volume. The beautiful “Allegretto” of Beethoven’s 7th symphony (Osmo Vänskä - Minnesota Orchestra - SACD BIS), reveals a wide and deep soundstage. The EMMESpeakers respect the dynamic variations and are able to communicate the meaning and the feeling of the composition we are listening to. They are sealed box loaded and this helps to position them in the room; despite this, their position must be carefully calculate to obtain the best from them. It’s hard to describe their sound, a sound that is neutral and characterized by a good performance in the low range, that is precise and without annoying tales. 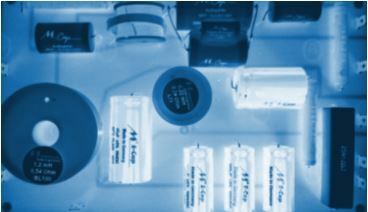 The Beta must be connected to a good power amplifier if you want them to show their dynamics characteristics. In a large room their performance will be limited as for the volume, due to the midrange overwork. But if you do not live in a discotheque, this will not affect you. The small amount of space they need and their slim shape fit well in all the environments. It is surely a successful component and it deserves the international diffusion and success it is having. The price is a bit higher if compared to components that have similar performances. These loudspeakers can be customized as for the finishing, so to have a “tailor made” product and all this certainly adds value to the product. The Company is serious and the product is reliable, a custom built product for those of you that do not want a mass-produced item. 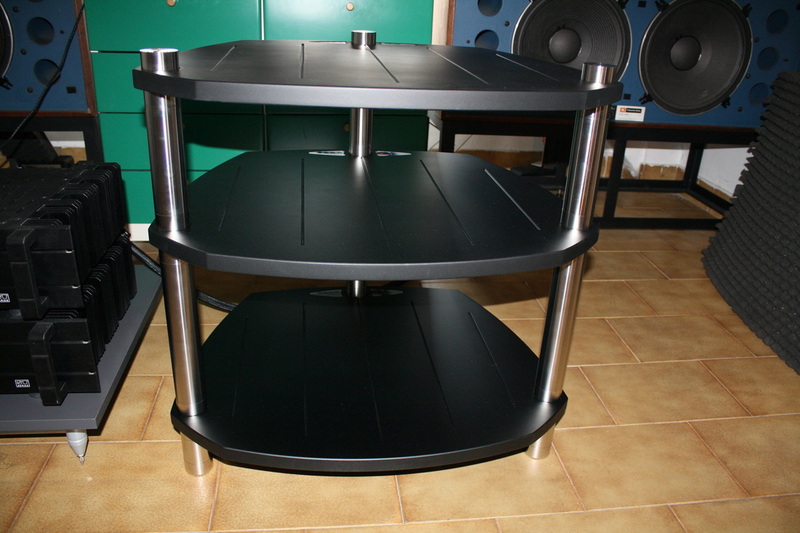 Together with the loudspeakers, we received a rack, the EMMERack Smart, that we have assembled and photographed before the components hide it. The aesthetic impact is great and its functionality is out of question. The SRS - Smart Rack System - allows a good control of vibration thanks to the silent blocks that are put between the shelves. Their resonance frequency can be changed simply tightening and loosening the supporting bars. The finishing of the small table we have, is mat black but you can choose from many options so to personalize it. The rack is modular and has 3 shelves. The distance between them, is up to the user to be as close to the user’s needs as possible.